northwest Repairing a bad coil lead, at the coil end. 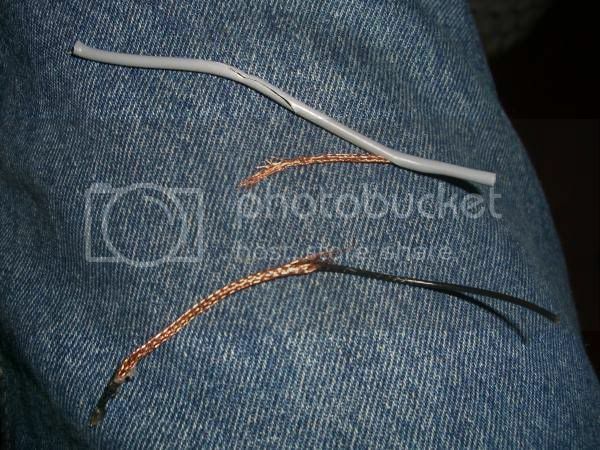 Repairing a bad coil lead, at the coil end. Well my coil has still been giving me grief! Damn thing every time the lead is bumped near the coil I get a false noise. This is very annoying. Also sensitivity is down, I found a 0.09g speck using a 15X12" DD commander in mono and could barely hear the same speck with the 11"dd in mono! So time to bite the bullet and pull the coil apart to cut the bad bit off the coil lead. The detector sounds off when the lead is wriggled at the strain relief. 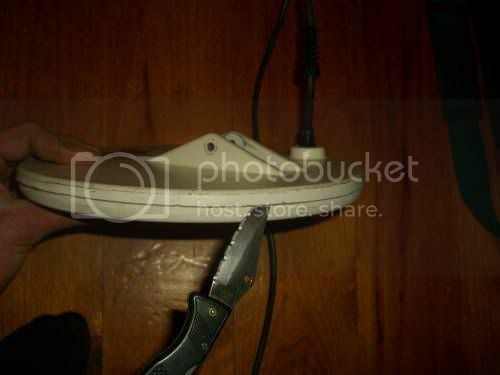 Use a good sturdy knife to cut/ break the glue that holds the coil shell together. Work all the way around the coil. Once all the glue is broken, carefully separate the shell. Now find the end of the tape around the edge of the coil and carefully remove. 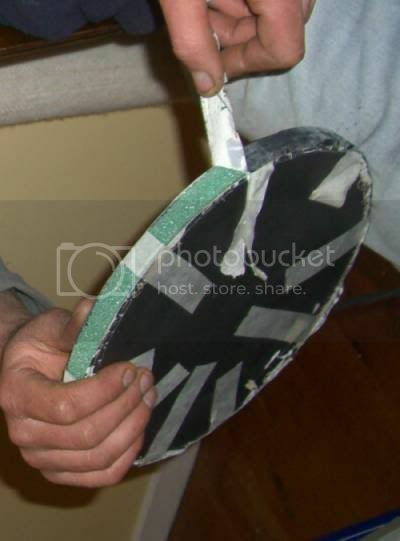 A small amount of heat may help to prevent tearing the shield paint off. 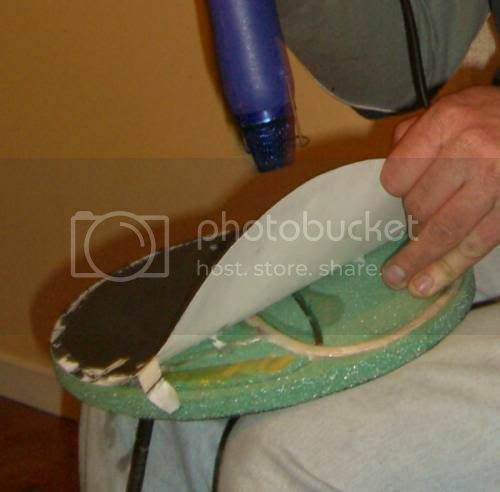 Use a hot air gun to remove the bottom shield as it is held on with hot melt glue. 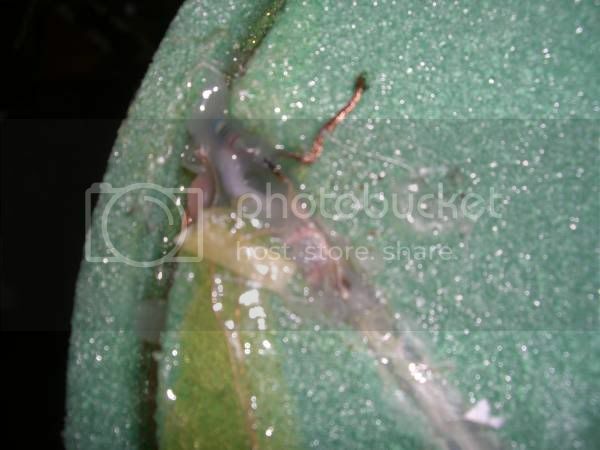 Use a hot air gun to melt the glue and find the end of the coil lead. Do not get things too hot or the foam will melt! Unsolder the coil lead and take note of what wires go where. The wire for the receive coil is very fine so be careful. Cut the coil lead an inch or so past where the strain relief grabbed the cable and re-solder to the coil windings again. Use only just enough solder. Seal the coil lead join up with hot melt glue back where it originally came from. Test the coil! Now reassemble the coil. Reuse the tape from the side of the coil. You may need to use some masking tape to help hold it in place. Put the shield wire back where it was and use some conductive silver to guarantee a good connection between the shield wire and the shield paint. Put some masking tape over the wire to hold it down. 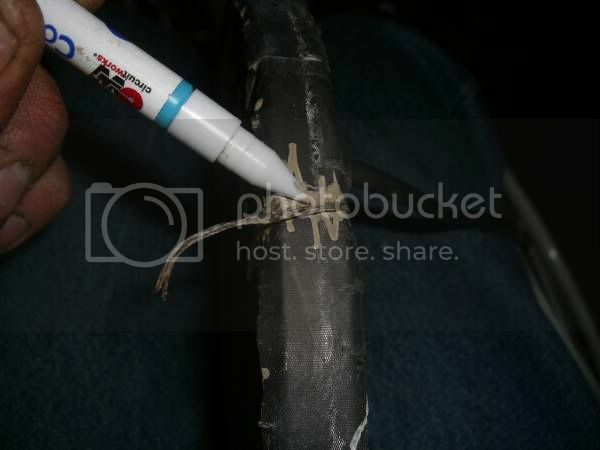 Wrap some masking tape around the edge of the coil. Add tape where necessary. 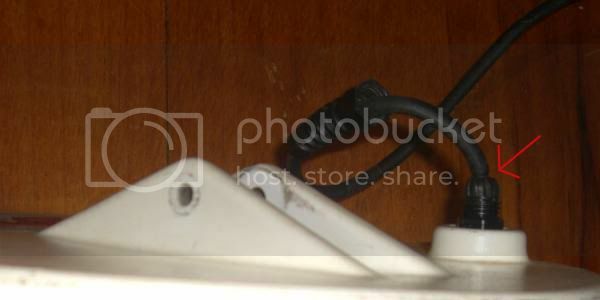 This is the coax for the receive coil and is also for the coil shield. It was completely broken. This is the wire for the transmit coil. It was holding on by about 10 wires! Use super glue to glue the coil shell back together. Make sure everything is nice and tight. I hope this helps some of you take the leap and fix up your old coils. What have you got to loose? Just don't blame me if you do something wrong and hurt your detector! Ps If you want to get rid of an old coil that doesn't work let me know. 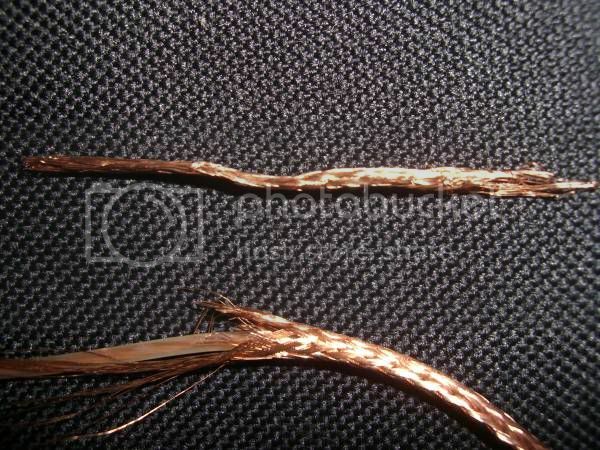 Re: Repairing a bad coil lead, at the coil end. The strain relief cuts the cable like a knife, it is recommended to leave the strain relief loose so the cable lasts a long time. It mainly happens to DD coils. Thanks for showing pictures of the repair, the shield looks like two pieces of paper painted with a graphite paint, then a piece of tape wrapped around the edge and painted with graphite , when you reapplied the ground wire is it wrapped around the edge and glued down to both sides of the shield paper ? No, it isn't wrapped around the edge. 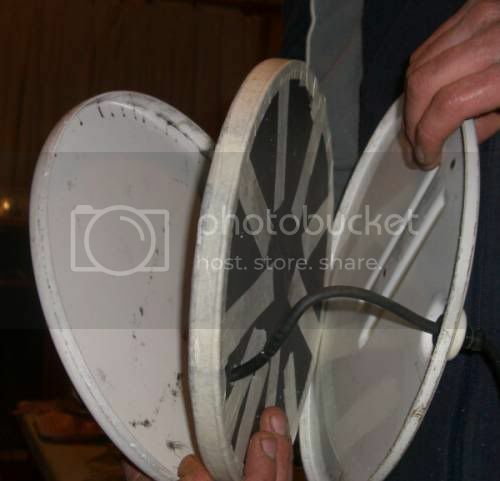 It is joined to the junction where the shield of the coax connects to the winding, then comes to the top via the same hole the coax goes through, then about 10~15cm along the top toward/past the centre and then goes through the paper and coil to the bottom side of the coil. If it was done on the edge the coil would be prone to falsing when bumped along the edge. Thanks Mick, its just the 8th picture down sorta looks like the ground wire is going around the edge and being glued, but apparently not, thanks. Hmmm, looks like that is how that coil was done. But I think it is probably better to do it the way I described above. What a shame all the pictures are gone.